The drum solo has long been synonymous with extravagant posturing, with the worst excesses of rock’n'roll virtuoso exhibitionism. 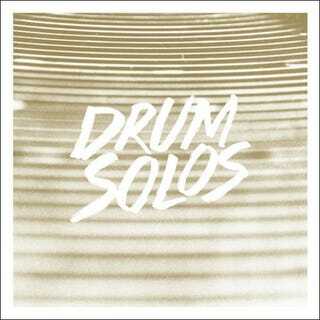 The reputation is unfortunate, but whatever one thinks of drum solos, the forthcoming album of solo drum work by Machinefabriek is something entirely apart from the usual associations. The source audio for Machinefabriek’s album — its bland title, Drum Solos, putting to rest concerns of showmanship — is all analog drum equipment, yet as evidenced by a six and a half minute preview track posted to his soundcloud.com account, it has nothing to do with the crowd-rousing arena epics of yore. It is, instead, a patient, occasionally irritant-exuding, and all around thoughtfully considered endeavor. The equipment is used more for textural than percussive effect, and the extent to which there is anything akin to a rhythm or a beat is how the gong-like cymbals take the form of slow, undulating sine waves. The music is processed this way and that, at times deeply removed from the original audio, including what appears to be a backwards effect. Driven by my love for solo albums by drummers and percussionists like Jon Mueller, Wil Guthrie, Nick Hennies and Burkhard Beins, I’ve made Drum Solos. It’s my take on a solo drum record, despite the fact that I lack the talent to hit a steady beat or a play a drum roll. Instead, I used the sounds of a drum kit as a sounce for further processing. I booked a rehearsel room with a drum kit, and recorded as much sounds as I could in one afternoon. Hitting, bowing, stroking, whatever ways I could find to create sounds, I recorded. And these soundfiles were chopped and screwed til it sounded like what you hear on the album. Each track focusses on one part of the drum kit. I like to think that purposefully employed limitations like that make me more creative, and my work more focussed. It’s part of the aim to make my music as minimalistic and ‘pure’ (whatever that may be) as possible. In this case it resulted in a short but varried and at times meditative album that might not have any virtuoso drum acrobatics on it, but shows its quality on a more subtle level. Track originally posted for free download at soundcloud.com/machinefabriek. Machinefabriek is Rutger Zuydervelt of Rotterdam in the Netherlands. More from him at machinefabriek.nu.